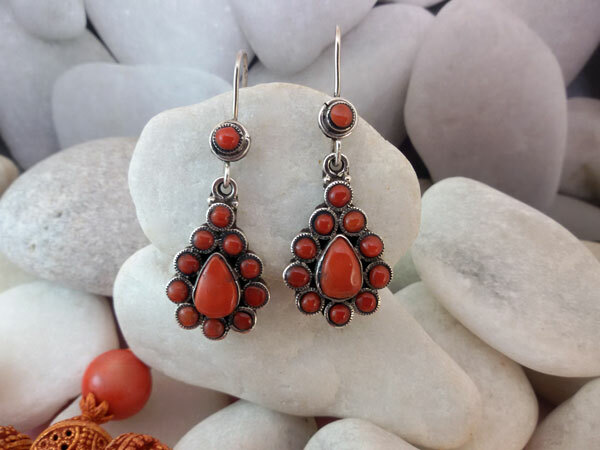 Tibetan sterling silver and coral ethnic earrings. 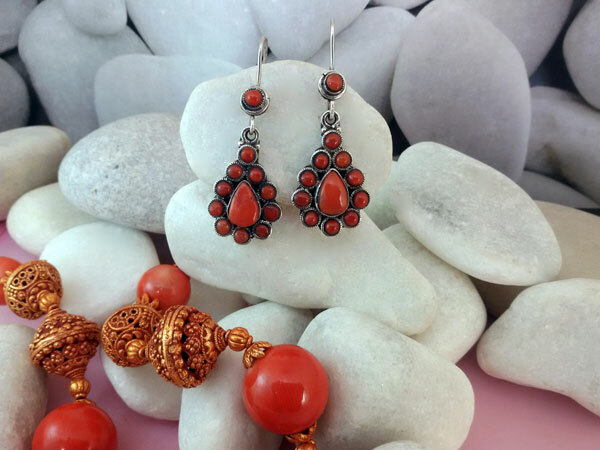 Coral and Sterling silver earrings from Tibet. Measure 1.8" high and 0.8" wide.